"My whatsapp restore has been saying Finishing Up... (99%) for hours, I have tried different devices and get the same thing. It's 131 MB, how can I fix this?" 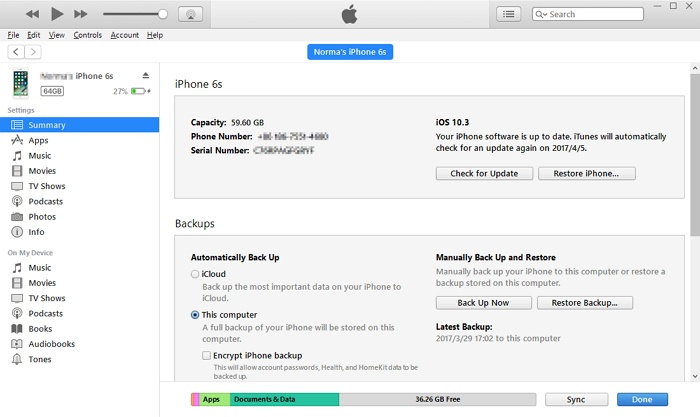 Most iOS users get used to performing a backup with iCloud. 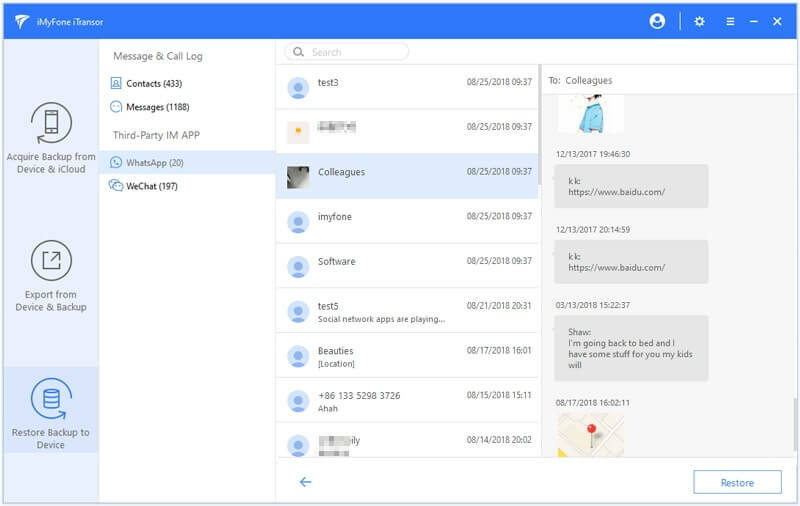 It brings many conveniences as we can make a backup whenever and wherever without connecting device to computer or launching iTunes. However, the problem will arise when it comes to restoring from iCloud. Just as the user said above, restore from iCloud backup not working. Don't you feel all kinds of frustrated? You must be wondering there has to be some kind of a way to restore the iCloud data, especially WhatsApp messages? Panic? Absolutely no, we have you covered as we will discuss the key points to fix WhatsApp restore from iCloud stuck on your new iPhone X or iPhone 8 in the article here. 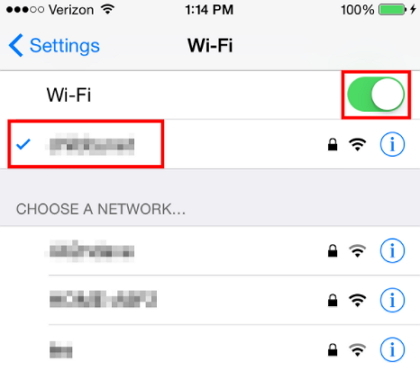 You should check that you are connected to the Wi-Fi. If you are using mobile data, check that it is turned on. But, large files won't be downloaded over mobile data. This is why you need to check that your phone is connected to the Wi-Fi. When you are restoring Whatsapp backup from iCloud, you need to make sure that your iPhone has ample space for that. This is why you need to head to 'Settings' and then 'General' and then check 'storage and iCloud usage'. 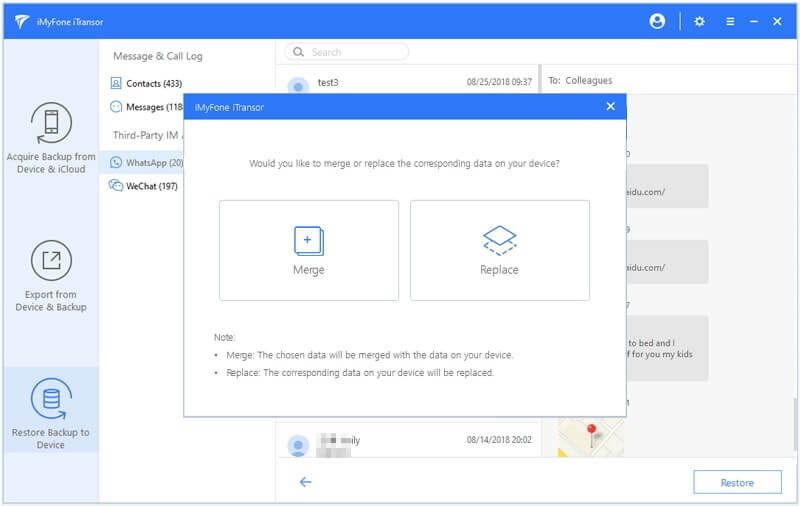 If you do not have enough space, click on 'manage storage' and delete some items. You need to make sure that your phone has the latest software update installed in it. 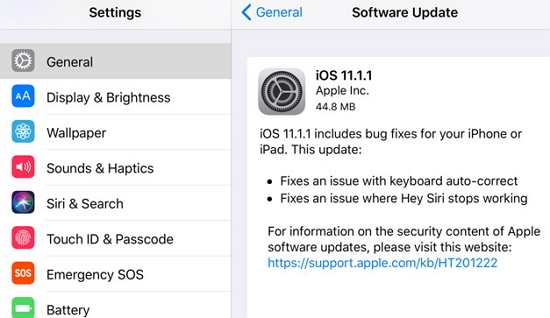 You should have the iOS version 11 installed on your system and check for any of the latest update which may be available. Download the latest update as this may fix any bug which may be present. iMyFone iTransor is an excellent choice as it offers plenty of features. It is an alternative tool which can help you fix this problem with remarkable ease. 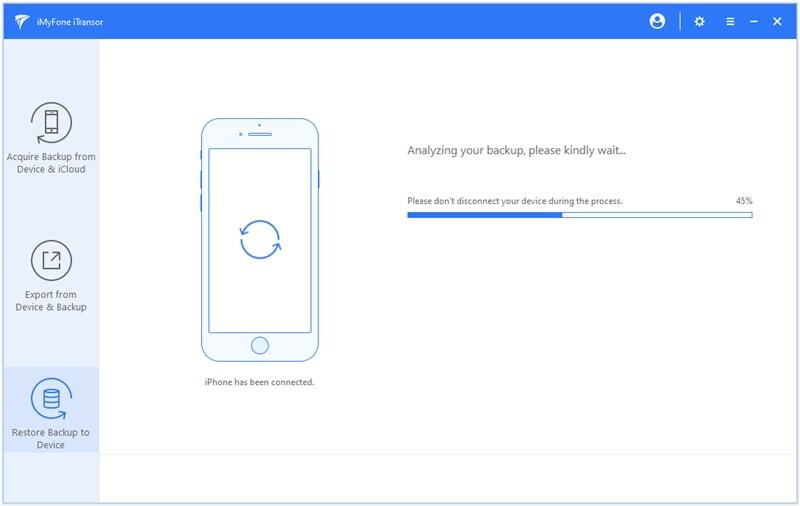 The tool has been designed to back up your iPhone data and restore a full backup or restore specific data on your device.Let us see some of its salient features. You can create multiple backups without the need to overwrite previous backups . 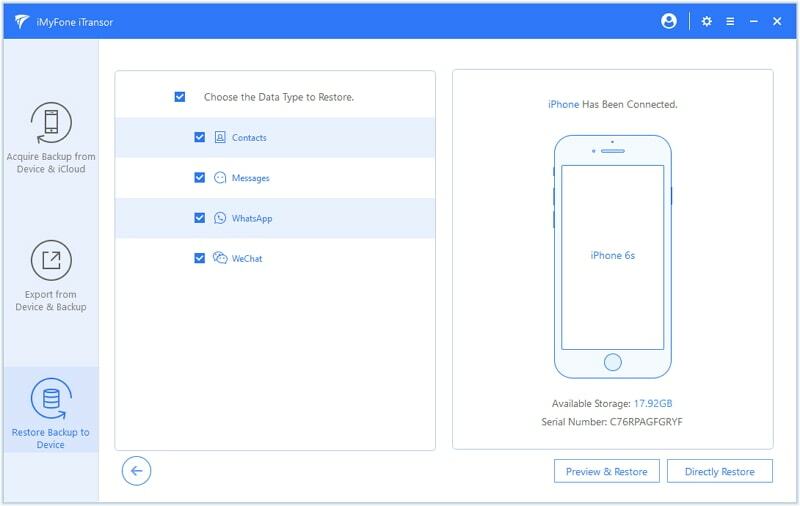 You can also selectively restore Contacts, Messages, WhatsApp data and WeChat data from iTunes, iCloud and even the backup files as well. You can extract 18+ types of data from your iPhone or the backup file as well. You can choose to back up the whole data or selectively backup specific data. The program will prompt you with two options: restore a full backup and restore a partial backup. Let us now see the steps for doing that. Step 1. 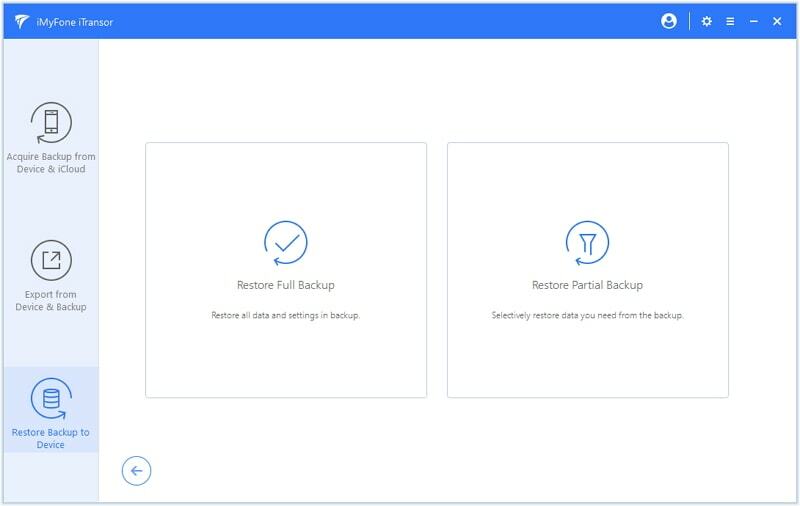 Choose the option 'Restore full backup'. 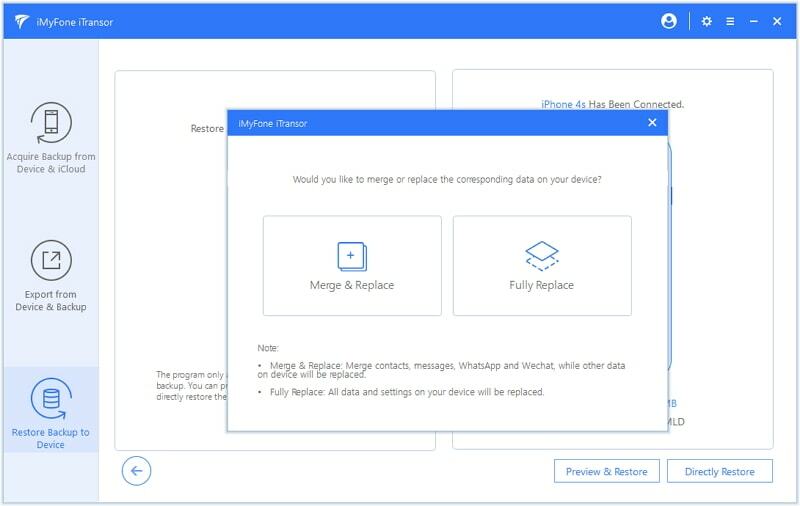 If the iPhone is not connected properly, the program will prompt you to do so. Step 2. Read the note on the interface carefully and click Preview & Restore or Directly Restore option. If you click Preview button, you can preview all the data to be restored in detail after the scanning. Step 3. If you click Preview & Restore button, you 'll need to choose Merge or Replace from the pop-up. Step 4. After the selection, the program will start the restore process. When the process is over, you can check the content which has been restored on the iPhone. In order to restore only WhatsApp backup, you have to back up WhatsApp with this program first. Step 1. When you have backed up the WhatsApp messages with iTransor, choose "Restore Backup to Device Option" and select WhatsApp from the data type list. Do not forget to connect your device to computer. Step 2. Choose Preview & Restore or Directly Restore in the lower right corner. If you choose Preview & Restore option, the selected data will be scanning for you to preview as the screenshot below. Step 3. Now click on 'Restore' and you need choose Merge or Replace from the pop up. When you choose to restore content from iTunes, it can lead to data loss and this is why this method is not preferred. Still, here are the steps you can use. Step 1. On your Mac or Windows PC which has iTunes installed, open iTunes and connect your iPhone to the computer with the help of an usb cable. Step 2. Now, If you are prompted to enter the password or click on 'trust this commuter', do so. Select your iPhone when it appears on iTunes. Step 3. 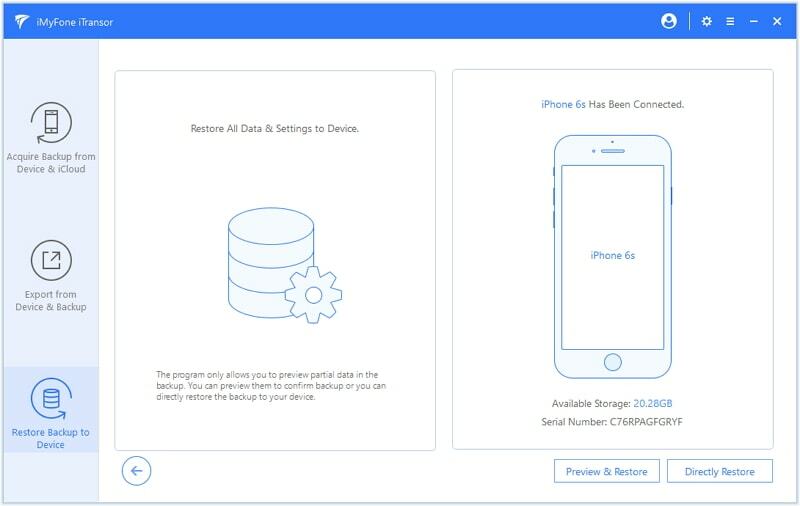 Click on Restore backup in iTunes option, pick the most relevant backup from the available options and tap on "Restore" to let iTunes restore the content of the backup on your iPhone. 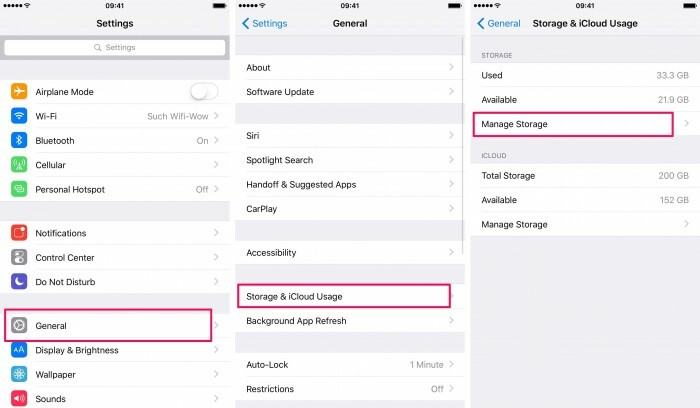 So, you can use any of these methods for restoring your Whatsapp data from the iCloud backup. However, we feel that it is iMyFone iTransor which seems to be the apt option for you.